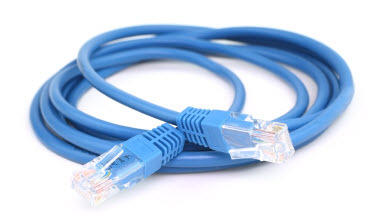 Internet Phone Service for Small Business | 8x8, Inc.
right over your Internet connection. 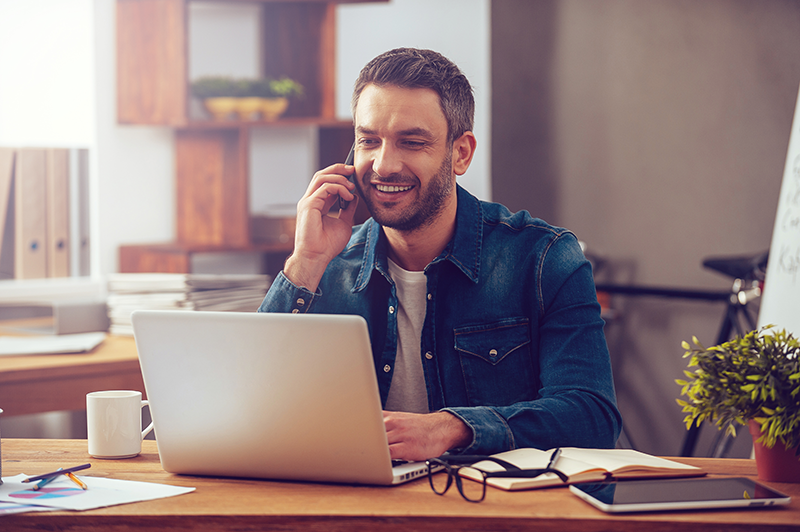 You want your small business to have it all – including a phone system that helps you make the best possible impression to your customers and vendors. With 8x8 Virtual Office Editions, all you need is a high-speed Internet connection to put your phone system to work wherever you are: office, home, hotel or on the road. There’s no need for a telecom closet filled with bulky PBX hardware to get unlimited calling and advanced features. Because the phone service and features are delivered over the Internet, it’s simple to put all your employees under the same phone system—even if they work in different offices or telecommute from home. Simplify and save with one phone system and one monthly bill. And with one simple web portal to manage your phone system, you’ll save time too. The features 8x8 delivers over your Internet connection will not only impress your customers, they’ll help you serve them better. 8x8 Virtual Office Editions include everything your employees need to efficiently communicate with customers, suppliers, and co-workers. Business voice, auto attendant, audio and video conferencing, and instant messaging are all included. Feature-rich mobile and desktop apps allow your employees to work from the device they’re most comfortable with. 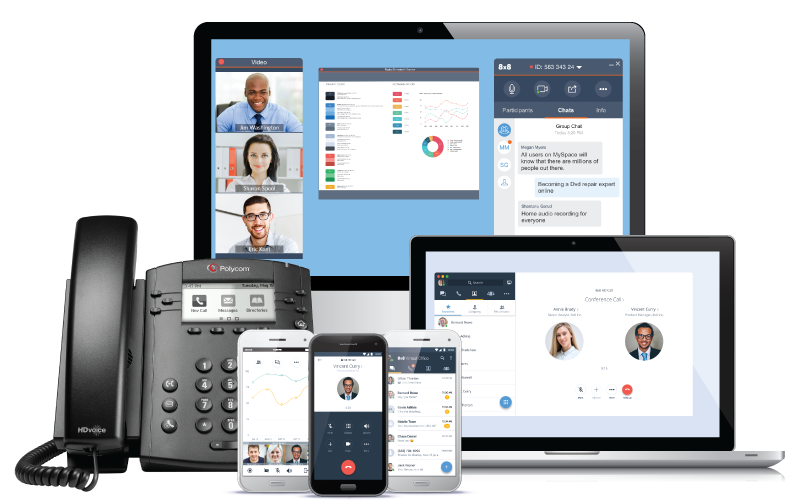 With modern smartphone, tablet and desktop apps, users are able to access voice, messaging, video and web conferencing from a single unified software experience that allows them to cut the cord from traditional desk phones.